This is the first post in this Halloween series. I’ve got 4 already photographed and would love to do some more as I love doing stuff like this. If you have any requests then PLEASE let me know. I used an orange face paint all over my face (stating the obvious, I know). It’s pretty straight forward and not much to say in the way of a tutorial. On the shaded parts I used black face paint and then a tiny amount of black eyeshadow just to blend it out. The mouth could have gone a lot better but ah well. You live and you learn. Hope you’re looking forward to the next part. 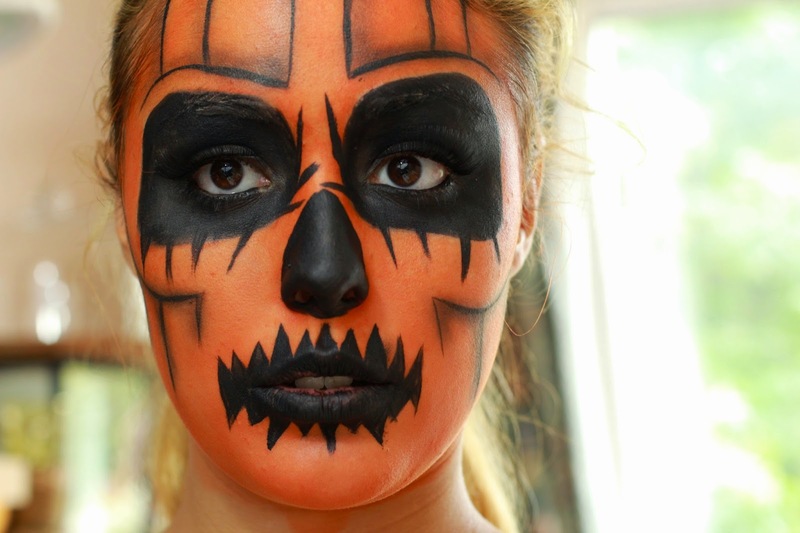 I love Halloween and the idea of dressing up and doing a full face paint like this but I don't have anywhere to go! I am incredibly impressed by your makeup though, and I think the mouth looks really good! This is neat! I still have yet to experiment with face paints!